Many people think their storage unit is completely protected from invading pests, but that may not be the case. Though your storage rental company in Santa Cruz, CA does what it can to protect storage units from pests, the first line of defense comes from the customers. There are a few different ways customers can safeguard their possessions from potential pests. Certain pests, like rats and mice, love paper, wood, and fabric products as a means to make their nests. Their sharp teeth and claws can easily tear through cardboard, documents, and wooden furniture in a matter of minutes. To discourage rodents from getting into your stored possessions, pack as much as you can in hard plastic containers, and refrain from using cardboard boxes. It is very difficult for rodents to penetrate the hard plastic to reach your items inside. Store your clothes, blankets, documents, and anything else that is easily shredded in these hard containers. Many self-storage facilities have rules against storing live plants and food, even if they are kept in a sealed container. 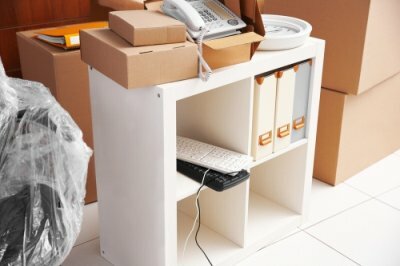 You should not store these items in your storage unit anyway, because they will attract pests. Rodents are constantly looking for food and items to make their nests. By storing food, even if it is temporary storage, rodents will smell it and come to your unit ready to set up their home. Ants will also be attracted to food products. Plants can attract cockroaches and other intrusive insects, so keep your plants out of your unit. You may have safeguarded your possessions against future pests, but do not forget to check for any current pests. Rodents, cockroaches, spiders, and other pests may stow away in your containers or nestle into your clothes or furniture, and you may not know until you find an infestation weeks later. Check your boxes, furniture, and everything going into your storage unit before placing it in the unit. You may be able to stop an infestation before it begins. By working with JD Mini Storage, you will have the benefit of 35 years of experience as a storage rental company serving Santa Cruz, CA. Whether you need your storage unit short-term or long-term, you will find an experienced and knowledgeable staff dedicated to you and the safety of your possessions. When you choose to rent a storage unit with JD Mini Storage, you will find easily accessed units that are all located on the ground. Each of these units is accessible 365 days a year and easily reached by a moving truck, if needed. Our storage rental company is dedicated to only storage, so our staff can give tenants and their possessions the attention they deserve. Storage managers live onsite to offer direct security for storage units, and the units are only accessible through individual electronic keypads. JD Mini Storage also offers customizable billing arrangements for the benefit of customers, whether they need a storage unit for short-term or long-term. When choosing your next storage unit near Capitola, CA, there are a few factors to consider so you can get the right space to hold your possessions. Determining the storage unit size you will need and how long you will need it are key decisions that will influence what will be the right storage space for you. One of the most important factors when choosing the right storage unit is determining what you wish to store. Once you know what you want to store and how much space it will take, you can figure out the correct size storage unit you will need. Most units will have a uniform height, usually 10ft or higher, but the width and length may change. Many storage rental companies have a formula that can help customers determine the size unit they will need in relation to how much space their possessions normally take up. To be on the safe side, you should rent a unit that is larger than you think you will need. This will save you time, money, and frustration. Deciding on how long you will need your storage unit can influence a couple different aspects of your storage unit experience. Your billing arrangement with the storage rental company may change depending on your contract length. You may also wish to store your items differently depending on how long they will be in storage. For example, if you are storing long-term, you will want to create a defined pathway so you can easily reach all of your items. Not all storage rental companies are created equal, especially when it comes to security measures for their tenants’ possessions. Choosing a storage space should be influenced by the amount and type of security the facility has to offer. 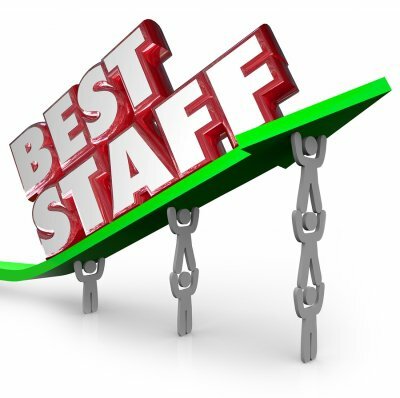 Look for a facility with a dedicated staff that has an immediate concern for their tenants’ safety and security of possessions.